PHOENIX – Gov. 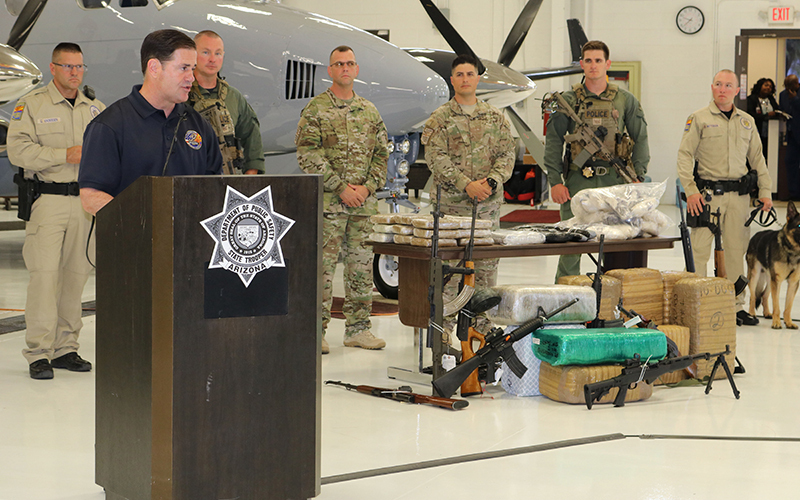 Doug Ducey said Wednesday the state will spend $2.9 million in fiscal 2019 on a three-year-old multiagency effort to stop drug trafficking and human smuggling at the border. 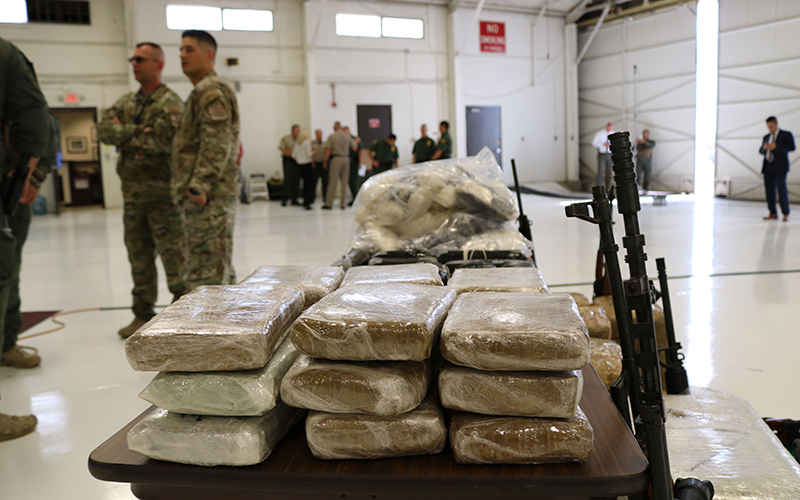 The Arizona Border Strike Force has seized 60,000 pounds of marijuana, 300 guns and “enough fentanyl to kill 11 million Americans,” since it was launched in 2015, he told a news conference. 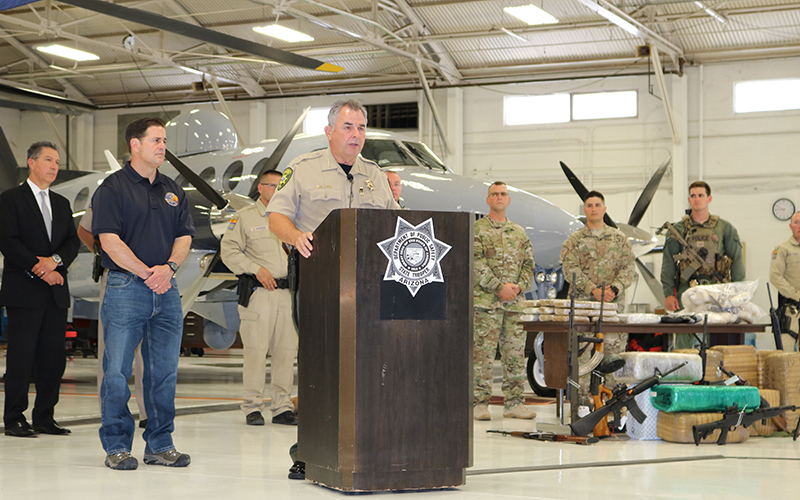 Law-enforcement agencies involved in the task force include the state Department of Public Safety, Cochise and Pima county sheriff’s departments. 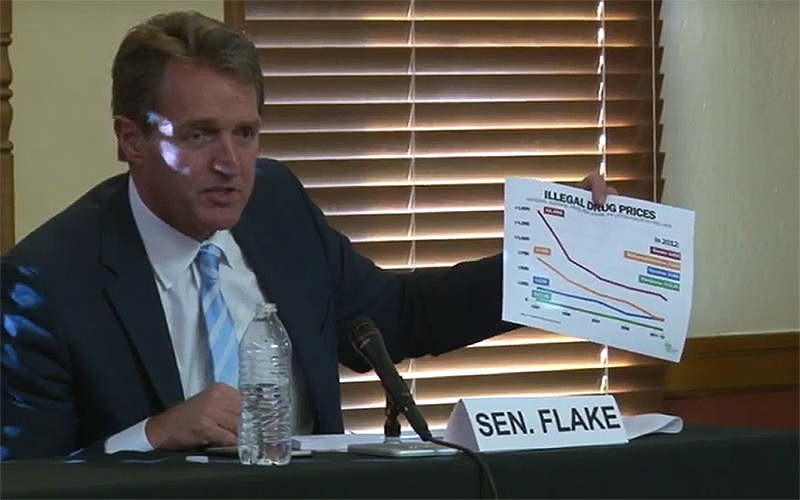 “Make no mistake, this is about transnational crime,” Pima County Sheriff Mark Napier said. “This is about a public-health emergency to our state and to our nation with the opiate crisis. Ducey said the federal government too often responds to Arizonans’ requests for help with “empty words and little action.” The state stepped with nearly $3 million in the fiscal 2019 budget to hire 12 troopers, which will expand the strike force to a 24-hour operation, according to a news release. Ducey’s office did not say how much has been spent on the task force to date. The money also helps to deter human smuggling, officials said. An immigration advocate said the strike force is the wrong approach. The funding is “highly irresponsible,” said Isabel Garcia, co-chair of Coalición de Derechos Humanos, a Tucson-based grassroots organization that promotes the civil rights of migrants. “I believe this $3 million is being misspent, and that in fact it helps to create more of the uncertainty, more of the instability and more of the insecurity that we have seen in the past 20 years on this border,” Garcia said.